All your donation goes to fund research to restore function and improve the quality of life for veterans and all others paralyzed by spinal cord injury or disease. Great progress is being made, with your support. Thank you. Cutting-edge research leading to new approaches to reversing spinal cord injuries. 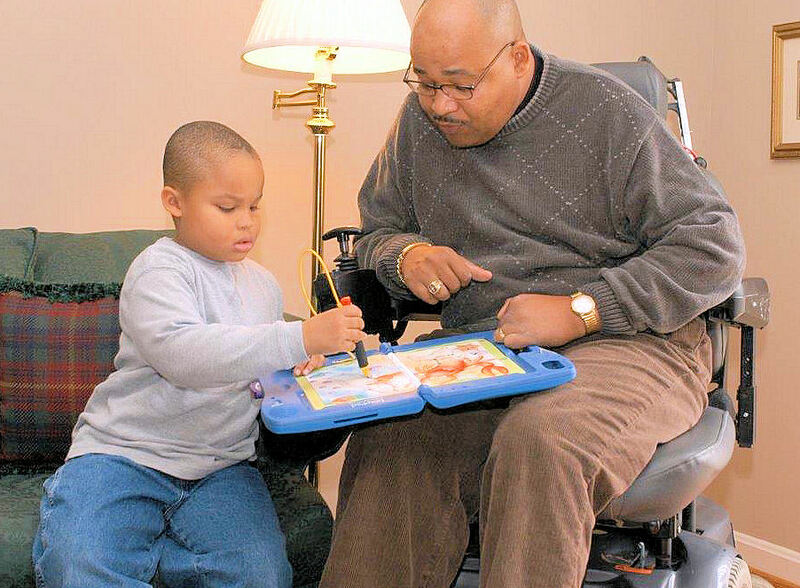 Studies of how to lessen the impact of spinal cord injuries and disease. Researchers are pushing the boundaries of current treatments, better understanding the mechanisms of repair and finding more effective therapies. Design and development of technology that allows people to do more, such as adaptive canoe seats that give people the freedom to control a canoe. Fellowships to get more scientists, clinicians and engineers to focus on spinal cord injuries. We want more great minds and caring people to focus on spinal cord injuries. In December 1941, many of our nation’s finest men and women were called to fight in World War II. These individuals— our fathers, grandfathers, mothers, grandmothers, uncles and aunts—were proud and honored to answer that call. Many of these heroes returned severely injured, about 2,000 with a spinal cord injury. The average life span for someone diagnosed with a spinal cord injury in the 1940s was 18 months because of common blood infections, respiratory complications or urinary tract infections. Medical professionals knew little about spinal cord injuries. Treatment was to make the injured veterans comfortable until they died. But the fighting spirit of these American heroes could not be crushed by a spinal cord injury. Seeking better health care and a better quality of life, they banded together to found the Paralyzed Veterans of America in 1946. One of Paralyzed Veterans’ first goals, and part of its core mission today, is to fund research to find cures for paralysis brought on by spinal cord injury or diseases, such as multiple sclerosis, ALS (Lou Gehrig’s disease) and post-polio syndrome. We seek to alleviate and eventually end the consequences of paralysis, improve treatment and care for people with spinal cord dysfunction, develop innovative rehabilitation therapies and assistive devices, and train the next generation of talented researchers. We do this by funding research grants to scientists interested in spinal cord medicine. Over the years, these grants have increased scientific knowledge about how to treat spinal cord dysfunction and improve the quality of life for all individuals with paralysis. Because of cuts in government funding for medical research, many very promising, cutting-edge ideas for repairing spinal cord dysfunction and developing better therapies and more effective caregiving don’t get support. We look for these ideas and support those we think can make a real difference in the lives of people and families struggling with spinal cord dysfunction. We want to make a difference both long-term – in finding ways to reverse spinal cord dysfunction – and short-term – making people’s day-to-day lives better. One research project we supported developed an adoptive canoe seat, allowing people with paralysis to safely paddle a canoe. This allows veterans and many others to again be in nature and get exercise outside of an enclosed room or gym. 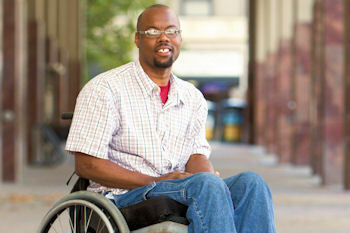 Our focus is helping veterans with spinal cord injuries. We look for concrete and innovative ways to make a difference in their lives. We understand the importance of this work because we are part of an organization founded by veterans with spinal cord injuries. They are present in our work every day. In many cases it is veterans with these injuries who do our work and sit on our board. Our commitment is to help them and their families. The costs of administering our work are paid for by PVA. As a result, 100% of your donation supports our work. The PVA Research Foundation is one of the oldest private funding sources for spinal cord research, supporting grants ranging from basic neuroscience to applied clinical research to design and development of assistive devices. Since its beginning, the Foundation has provided more than $40 million to laboratories throughout the United States and Canada. The Foundation fosters innovative research and attracts new talent to the spinal cord research field, and has helped launch the careers of many of the best scientists in the field today. Bone marrow stem cell grafts for spinal cord pain. Novel gene targets for spinal cord regeneration. A genetic approach to generate neuronal subtypes in adult spinal cord. Novel compounds that overcome central nervous system growth inhibition. Combination of cellular transplants and motor training to improve reaching. Novel approaches to central nervous system regeneration. Cellular transplantation to Improve bladder function. Recumbent stepping for gait rehabilitation after spinal cord injury. Obstetrical outcomes of women with spinal cord injury. Preventing pressure ulcers by an alternating pressure relief system. Effects of robotic-assisted treadmill training on the recovery of ambulation following spinal cord injury. A targeted intervention for reducing shoulder pain and improving function in persons with spinal cord injury. The development of micro processor-based electric powered wheelchairs. Paralyzed Veterans of America pays all administrative costs to operate the Foundation, thus 100% of all donations go directly to The Research Foundation's grant program. Private donations provide a large and critical level of grant funding each year. Applications for funding receive thorough review by a Scientific Advisory Board that consists of experts in the field of spinal cord medicine. Following this review, the Foundation’s Board of Trustees decides what will be funded. A unique aspect of the Foundation is that all of its Trustees are paralyzed veterans; the final funding decisions rest with people who live with spinal cord injury or disease. Once grants are funded, the Foundation follows management policies to ensure that the grantee adheres to organizational and government regulations. Progress reports are required at fixed intervals and those programs not fulfilling their goals are terminated, with their awarded funds returned to the Foundation to be used for other projects. Our mission is to improve the lives of veterans and everyone else with spinal cord injury. 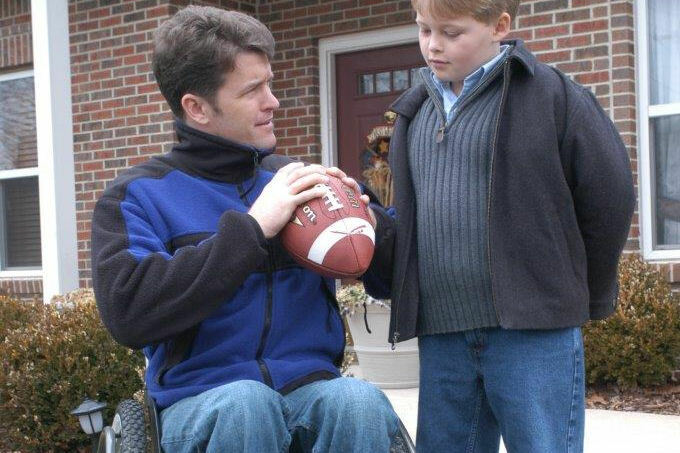 We support new approaches to reversing spinal cord injuries, giving hope to veterans and their families. 5% of combat-related injuries now involve the spinal cord, compared to 1% in the 20th century. PVA, founded by returning WWII veterans, pays the Foundation’s costs. All your gift supports our mission.